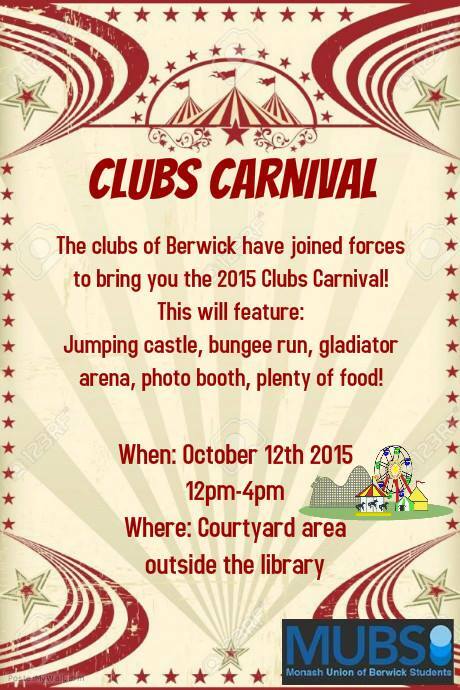 This year the clubs of Monash University Berwick Campus have joined forces to bring you the 2015 Clubs Carnival! And did we mention food? Pizza and Subway sandwiches will be provided to cater to all interests. Free for all Monash Berwick students! Amazing. But I have assugestion., White text on Black background looks bit ugly. I might be wrong.